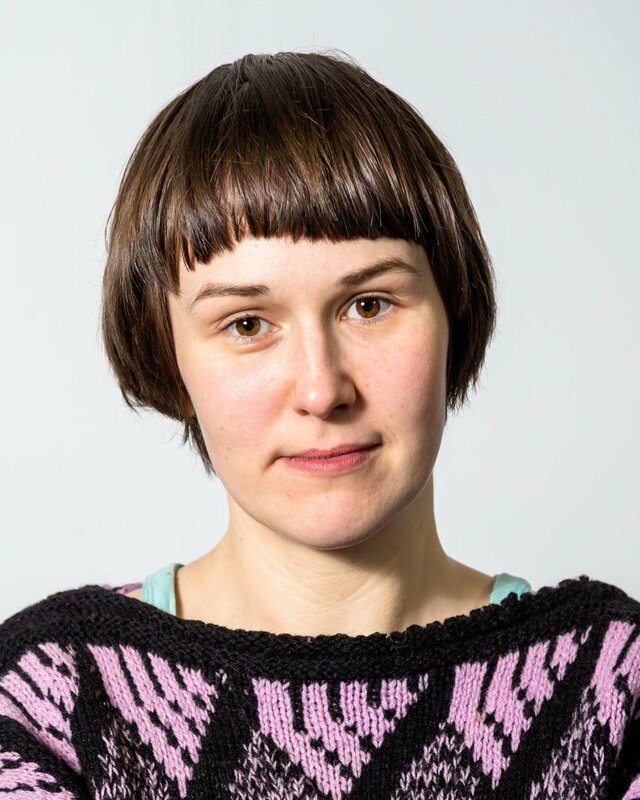 Helga-Marie is guest curator for the third edition of AMIFF in Harstad, where she has chosen artists Lars Laumann (born 1975 in Brønnøysund) and Hedda Kristine Bremseth (born 1986 in Stjørdal) as the established and young artist profile. In addition to showing a selection of Bremseth's films in the cinema, Hedda has also produced a new work for AMIFF 2018, which will premiere at the festival during the opening. SCREENING OF TANDER (22 min) 2018 AND CONVERSATION WITH ARTIST HEDDA AND CURATOR HELGA-MARIE NORDBY. A true story story about real love. Hedda Kristine Bremseth is a young artist and filmmaker from Brønnøysund, based in Kabelvåg. Hedda's artistic practice is a mix of performance, film and stand-up, where she is both the main character and the director. On the basis of her own life, she explores and challenges being a woman, a young artist and a mother. Hedda has a Bachelor of Contemporary Art from Nordland College of Art and Film, and this autumn she started at her masters at the Academy of Fine Arts in Trondheim. Her films and works have been screened at the Tromsø International Film Festival (TIFF), the Toronto International Short Film Festival, Ponte Nordica in Sao Paulo, and the Amandus Lillehammer International Student Film Festival, Feminist Short Film Evening at the Culture House in Oslo and Lillevåg Gallery. Helga-Marie Nordby has worked actively as curator and institutional leader in Norway since 2002. For the past four years, she has been based in Berlin. As a curator, she has extensive experience with both traditional exhibition formats and larger outdoor projects. She was one of the initiators of Salt - a nomadic initiative for art, culture and the environment in the Arctic. She curated the UKS Biennale in 2004, LIAF 2010, Norsk Skulpturbiennale 2i 013, Seeable / Sayable at Kunstnernes Hus in 2016, Coast Contemporary 2017. From 2009-2012 she was head of the department for the Academy of Fine Arts in Tromsø, and 2005-2009 Managing Director of Young Artists Society in Oslo. She holds a Master's degree from Goldsmith's College in London, as well as studies in art history, theater science and philosophy from the University of Oslo. Nordby has been artistic director of Lofoten International Art Festivals since 2009.